With all the favours Allah sent. No wonder that I love Him so. 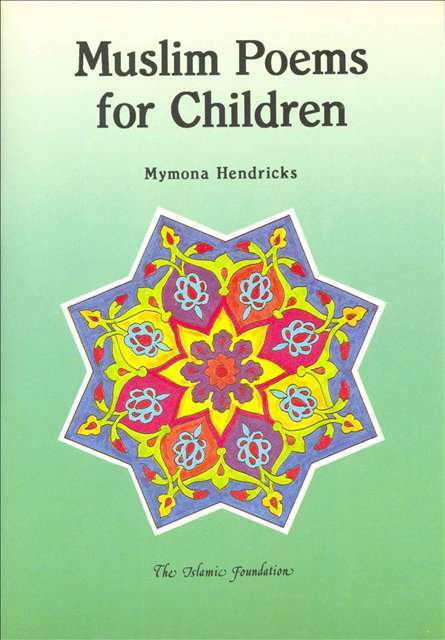 Muslim Poems for Children by Mymona Hendricks is a collection of twenty poems for children between the ages seven and thirteen. The poems are about a variety of Islamic topics including the pillars of Islam (e.g. salah (prayer), hajj and fasting); Islamic identity, the Quran, brotherhood and parents. The poems are written in a very simple form and rhyme. They are especially good for reading aloud. Children will find the rhymes easy to memorise. In the classroom or home, the poems could form part of an Islamic studies lesson plan. It will strengthen your Iman. The collection features short excerpts from Quran or hadeeth at the end of several poems. Photographs of children engaged in various daily routines and Islamic duties are interspersed throughout the collection. A glossary of Islamic terminology is included at the end. While the collection is very interesting the presentation of the material could have been a bit more appealing to young children. A more interesting layout of text, use of vibrant colours and a greater variety in illustrations would have given this poetry collection a lot more visual appeal. Nevertheless, Muslim Poems for Children is a valuable collection of simple poems that makes learning about Islam easy and interesting.